The Auxiliary Patrol was composed of a large number of small craft tasked with minesweeping and anti-submarine patrols, initially around the British Isles, but later also in the Mediterranean. Many New Zealanders served in the Auxiliary Patrol. The Auxiliary Patrol was the front-line force in the defence of initially the British Isles, but later also the Mediterranean, against German mines and submarines. A wide variety of vessels were used, many fishing vessels requisitioned but also yachts and motor boats and from 1917 Admiralty-built trawlers and motor boats. Early experiments using fishing trawlers to sweep mines took place in late 1907 and proved the potential of this type of vessel for the task. In 1909 the Admiralty purchased a few trawlers and in late 1911 a trawler section of the Royal Naval Reserve was established. By January 1914 the magnitude of the task of sweeping mines around the whole coast of the British Isles was becoming recognised and the number of vessels required multiplied accordingly. In parallel with the trawler reserve was the Royal Naval Motor Boat Reserve, formed in late 1912 and closely associated with the Royal Naval Volunteer Reserve from January 1914. 1 January 1918 there were a total of 3,301 vessels, 2,736 around the British Isles. With the outbreak of war in August 1914 the 80 plus trawlers of the ready reserve were taken-up for fitting-out and within two weeks another 100 had been requisitioned. Lowestoft was the main fitting-out base and although other bases undertook this work later, none was as large as Lowestoft. Initially the trawlers began sweeping the shipping lanes off the east coast, but with the establishment of the Grand Fleet base at Scapa Flow, that base became the priority. The post of Admiral Patrols had been established in July 1914 and he became responsible for the Auxiliary Patrol force. As more vessels became available the Auxiliary Patrol extended its coverage all around the British Isles and then into the Mediterranean. To man these vessels came men from all over the empire including New Zealand. In the early days the ratio of the number of mines swept to the number of ships sunk by mines was 1 : 1. Later, with the increased number of sweepers available and knowledge of where mines were laid, the ratio decreased to 85 : 1. Unfortunately the presence of a new minefield was usually learned by a ship striking a mine. 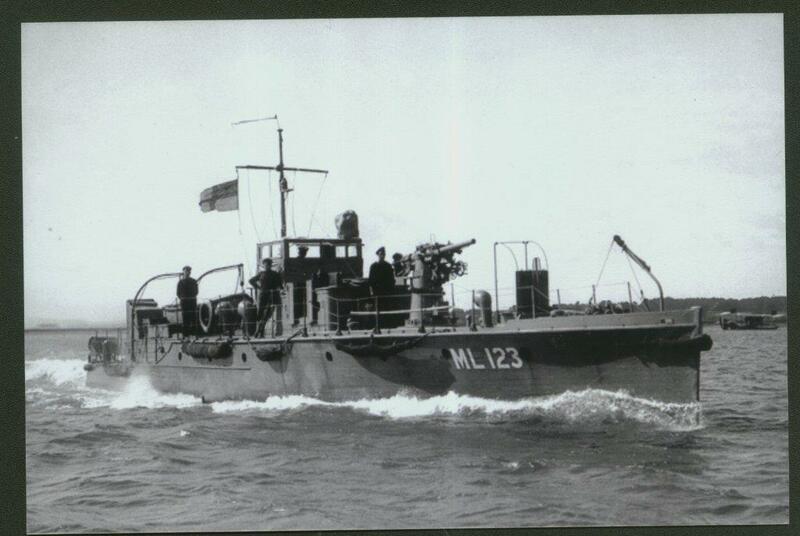 In addition to minesweeping the Auxiliary Patrol was responsible for anti-submarine patrols, the examination service, anti-submarine net barriers and boom defence. The various coastal areas around the British Isles were divided into patrol areas, eventually totalling twenty-six. The number of vessels allocated to each area being dependent primarily upon the importance of the ports it included. Thus the Orkneys, which included the base of the Grand Fleet at Scapa Flow, had the largest number of vessels, 430, in January 1918. Armed patrol units were set-up in 1914, usually consisting of one yacht as a leader, four trawlers or drifters and several motor boats. 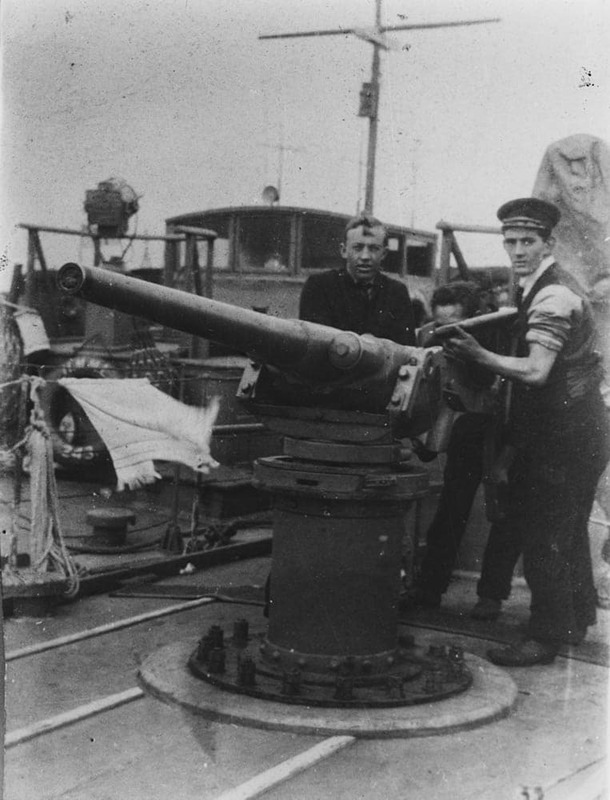 The leader and some of the trawlers were fitted with radio and most vessels were armed, heavier guns being fitted later, as they became available. By 1917 there were 150 patrol units, with the number of trawlers being increased to six per unit. At this time there few trawlers left to requisition and the Admiralty placed orders to build another 540 trawlers, of which 468 were completed by the end of the war. As an indicative sample of the number of vessels in the Auxiliary Patrol, as at 1 January 1918 there were a total of 3,301 vessels, 2,736 around the British Isles. To man these vessels came men from all over the empire including New Zealand. The preliminary order for demobilisation of the Auxiliary Patrol was issued on 15 July 1918 and demobilisation commenced on 10 December, being completed by 30 April 1920.